If you are looking for a stylish one cup coffee percolator that gets the job done well, then look no further than the Faberware FCP240 2-4 Cup Percolator. While it can brew up to 4 cups at a time, this model will also allow for single service. Today we are going to review this very classic looking single cup percolator and go deeper into its features. We will also take an unbiased look at several of its pros and cons. Let's get started, shall we? 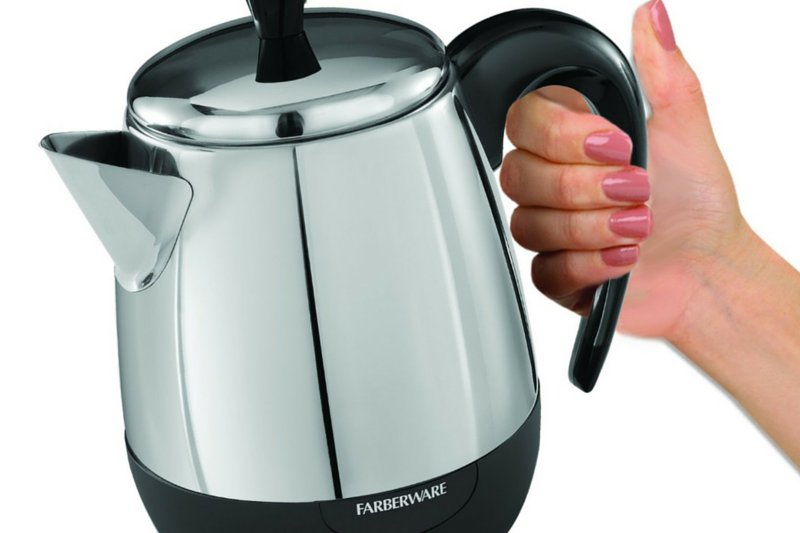 The Faberware FCP240 coffee percolator comes with a wide range of features that will make your morning cup of Joe easy. A beautifully designed stay cool handle: This coffee percolator comes with a durable black plastic handle that will never get hot while in use. 1000 watts of power: This model is powered by 1000 watts of power so you know that your coffee will be hot and ready in a matter of a few minutes. Fast brew speed: The FCP240 has a brew speed of 1 cup per minute which is very fast. 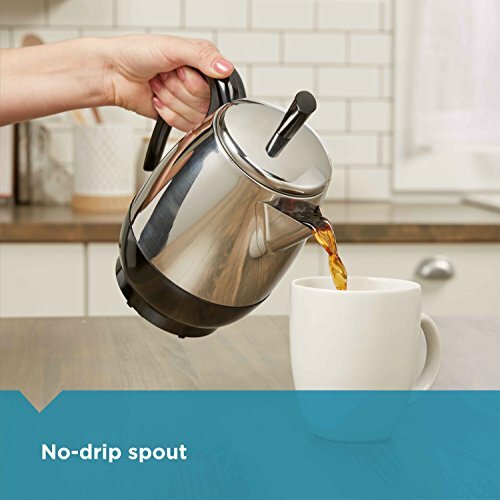 A large four cup capacity: This percolator will allow you to brew up to four cups of coffee in under five minutes. A keep warm mode: This unit comes with a stay warm mode that will keep your coffee nice and warm for as long as it is plugged in. When it comes to design, the Faberware one cup coffee percolator is one of the most elegant on the market. 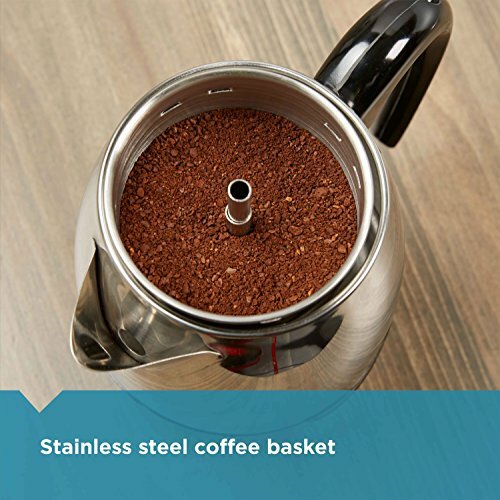 This classic looking percolator is crafted from beautiful stainless steel giving it a vintage look that many will enjoy! The long black sweeping handle adds both function and style to this magnificent coffee percolator. A durable black plastic bottom helps add strength to this product and the contrast between the silver of the stainless steel, and the shiny black plastic is very appealing to the eye. Overall, this is a very attractive coffee percolator! In order to get the perfect sized cup of coffee for your tastes, measure the water with the cup you are going to be drinking out of. To carry your pot with you, simply detach the power cord. For a stronger pot of coffee, add less water. While this model is not dishwasher safe it can be easily cleaned by wiping out the inside after each use. The outside surface is very easy to clean and some stainless steel cleaner every once in awhile will keep it looking shiny for many years to come. Now we have to take a look at some of the notable pros and cons that this percolator possess. This will help you to make a better buying decision. It will allow you to brew one to four cups of coffee in less than five minutes. This unit will keep your coffee warm all day long. It is very stylish and will add to the beauty of your kitchen. Comes with a detachable power cord for easy storage. Does not come with line markings inside the pot so you have to guess the amount of water needed. For those who like big cups of coffee, this model might not have enough capacity. Sides of the pot can become very hot and it needs to be kept away from children and pets while in use. 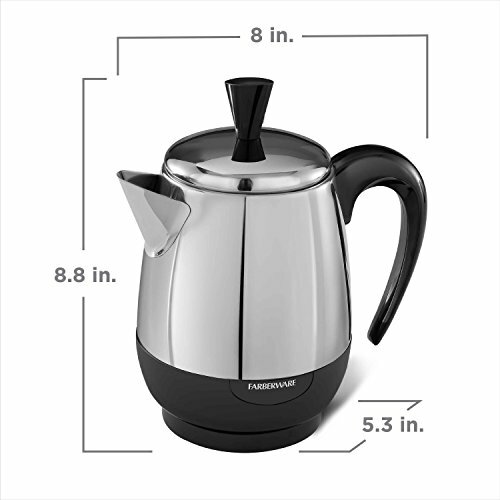 The Faberware FCP240 2-4 Cup Coffee Percolator is available on Amazon for $44.01. Now that we have taken a deeper look at the Faberware one cup coffee percolator it’s time to decide if it is worth the money. 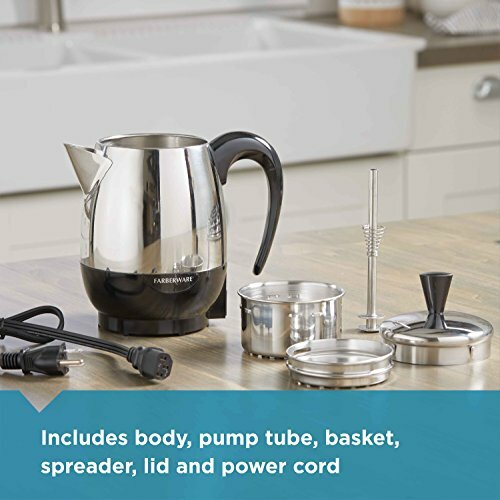 After carefully going over all the features, we have concluded that this coffee percolator is perfect for someone who wants a single cup or a few cups of coffee very quickly. While it is not designed for a large crowd, it does a perfect job for one or two people. Its beautiful design will add elegance to any kitchen and it will even travel very well due to the unit’s light weight. If you are in the market for a new medium sized to one cup coffee percolator, this one is a very good option. We feel this unit is very worthy of a purchase!